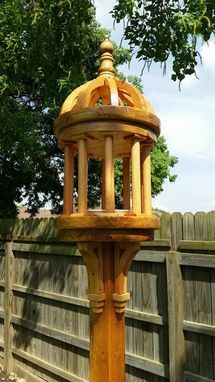 Each bird feeder or bird house is handcrafted and made to order. 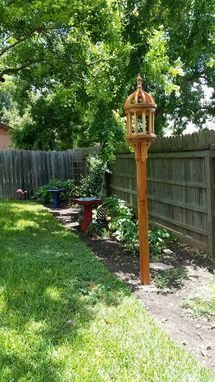 This is the Tuscany Bird Feeder and is made with white board and stained a golden oak color and finished with polyurethane coatings. 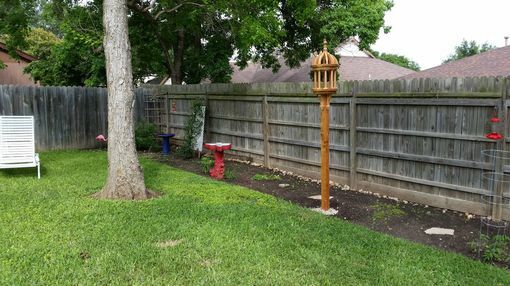 It sits on a 4x4 post but can be removed if you wish to make changes. 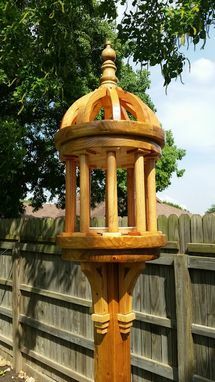 This feeder is large and is 15 inches in diameter and 32 inches tall. 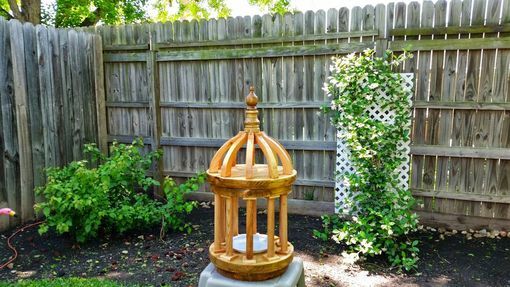 It will be a great addition to your yard and is well liked by birds. 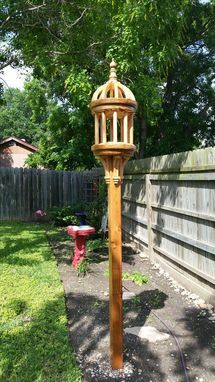 It could even make a great squirrel feeder. It will take approximately 2-3 weeks to build and deliver to your door.